Do you dream of building your business into a global brand? 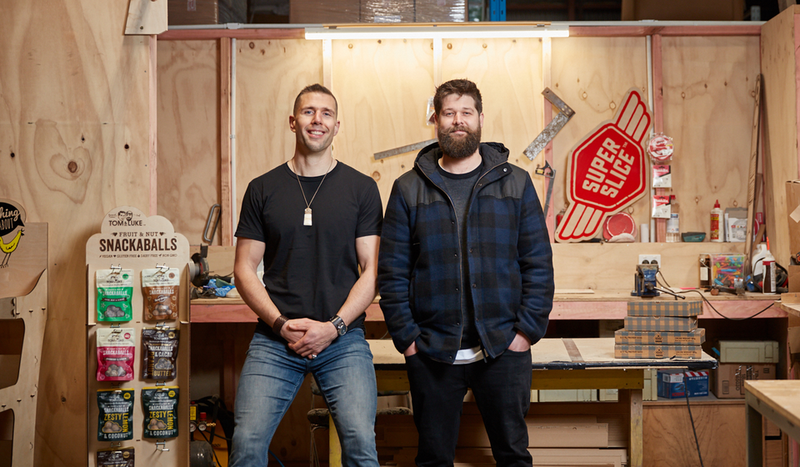 If you're looking for inspiration, it's hard to go past Wainuiomata-based snack food company Tom & Luke. Tom Dorman and Luke Cooper wanted to produce healthy, high protein snacks that weren’t laden with refined sugar. They started Tom & Luke, finding strong local demand for their natural, wholefood products, which they managed to parlay into global growth. The company now exports to Australia, Japan (where they just won a gold medal in the largest food competition over there), the United States through Amazon and are looking at the South Korean market. Kiwibank Senior Commercial Manager, Jayden Devonshire, has looked after Tom & Luke since the company joined the bank four years ago. Richard Plimmer is Tom & Luke’s Managing Director. They share their top tips about what it takes to sustainably grow a business. “It’s necessary to know WHAT your goals are, WHY have you set them and HOW are you going to achieve them,” says Richard. Don’t limit your thinking or your ambitions and make sure you’re setting yourself up in a way that you’ll be able to cope with huge growth. Don’t be too insular. You might be surprised at how much knowledge there is in your existing network that you might be able to tap into – from your customers, former colleagues, mentors and advisors. Growth takes different paths for different businesses, but whatever stage of the growth journey your business is at, take time to think about where you want to go, how you’re going to get there and who can help you along the way.